With Christmas and New Year approaching quickly (where has the whole year gone? ), it’s time to think about our plans for the season of fairy tale and magic. Most of us would have the gifts bought and dinner planned by this time, but do you know what are you going to wear? If you’ve got just a family Christmas planned (like me this year), it’s probably not your biggest concern. But if you have got a magnificent outing to attend or a party at work, or plan to dance through the night at the New Year Eve, here are some fiery and elegant Christmas party outfit ideas that will give you some food for thought. 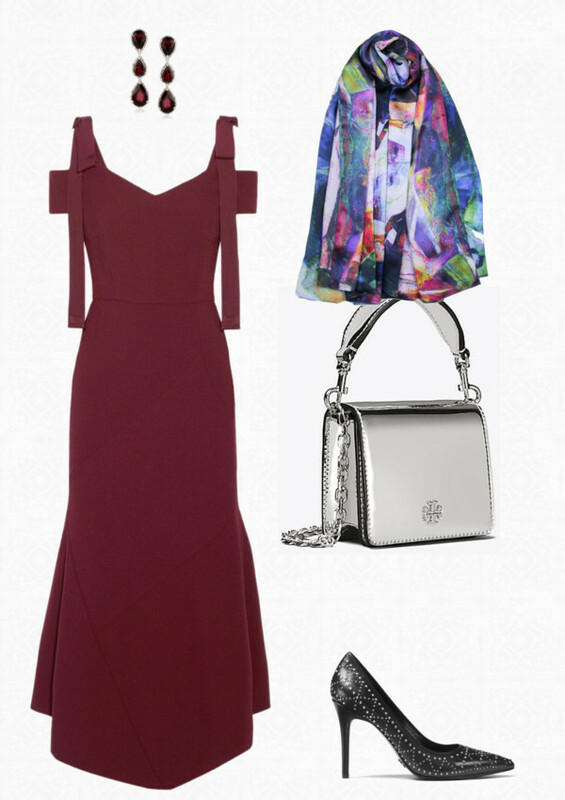 I fell in love with this elegant Rebecca Vallance burgundy dress the moment I saw it. It would be great for a Christmas or New Year party in almost any setting. 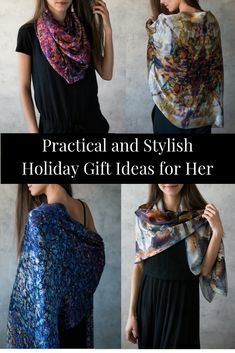 Adding some seasonal sparkling with Michael Kors shoes and Tory Burch mini-bag and some magic with the Temptation scarf from Aithne and you’ve got a perfect eye-catching outfit. Having a Christmas cocktail party? This fiery red off-shoulder dress sets the mood straight away, doesn’t it? I’ve already mentioned the earrings by Isabel Marant as one of the great ideas for Christmas gift. 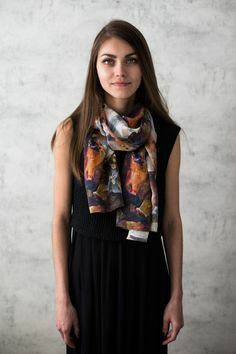 They complement the dress perfectly, and the Lion Scarf from the Oneiric World Collection is big enough to be worn just over your arms to bring the sense of fairy tale and magic. If you work in a conservative environment and have a corporate Christmas party, traditional bright colours that people wear for Christmas might not be appropriate. This gorgeous black dress goes just over the knees and has a very classic feel making it great for a party with colleagues. But due to flamenco-inspired bell-sleeves, it has a festive spirit in it as well. And even in the most conservative environment, you can use accessories to bring in the Christmas mood. 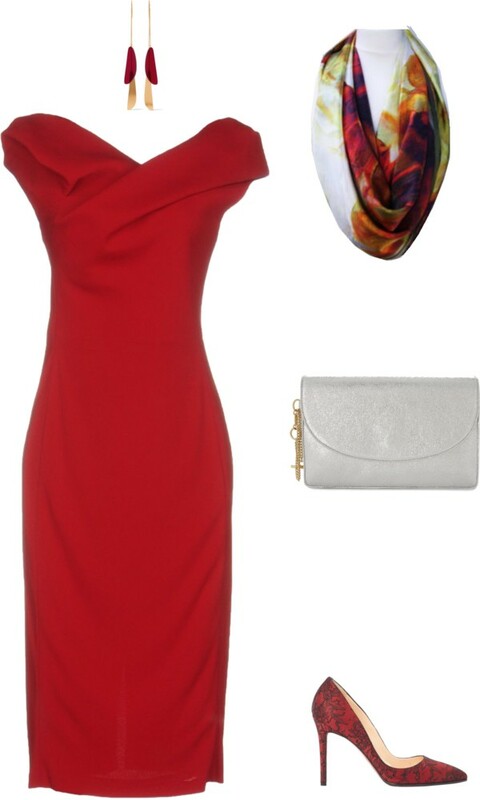 Both, Tory Burch art deco earrings and Aithne Spiral to Infinity Scarf bring in the fire and warmth and make this outfit breath-taking. 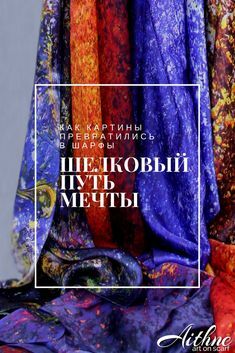 The scarf is available in 4 different sizes (3 square and 1 long) allowing to add just a hint of brightness to the outfit or go full-blown magnificent. The moment I put on this magnificent red dress I felt like dancing. 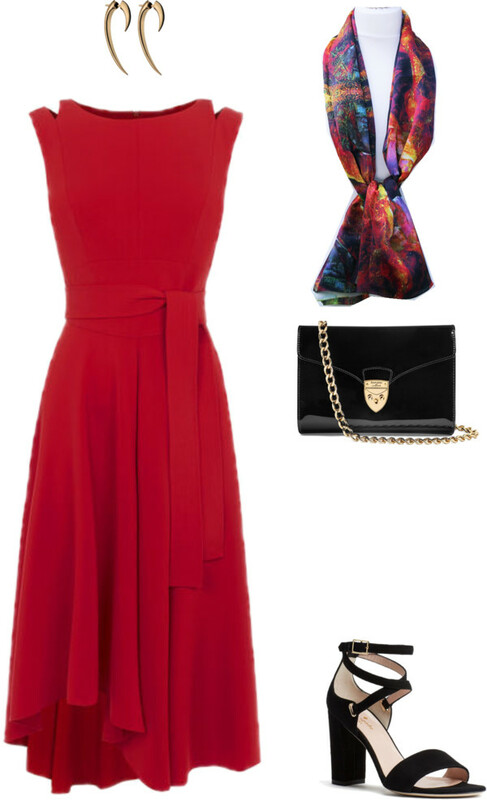 So if you have a Christmas party planned in an elegant setting and are dreaming of dancing through the night, this outfit has everything needed for a Christmas mood. Kate Spade shoes are very elegant and having a comfortable medium heel are great for dancing. 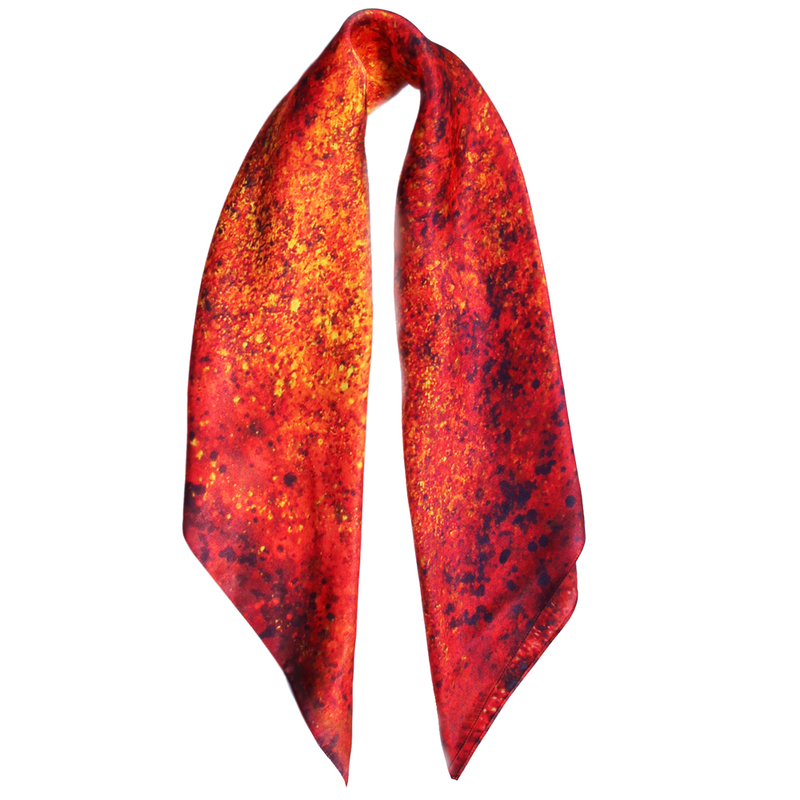 The Carnival Queen scarf has the name that speaks for itself. 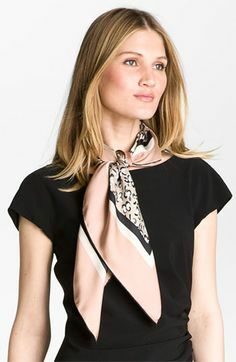 Tie it to a chic bow-tie or wear over your arms for added elegance and magic. Click on the little icons below for the details of the outfit. 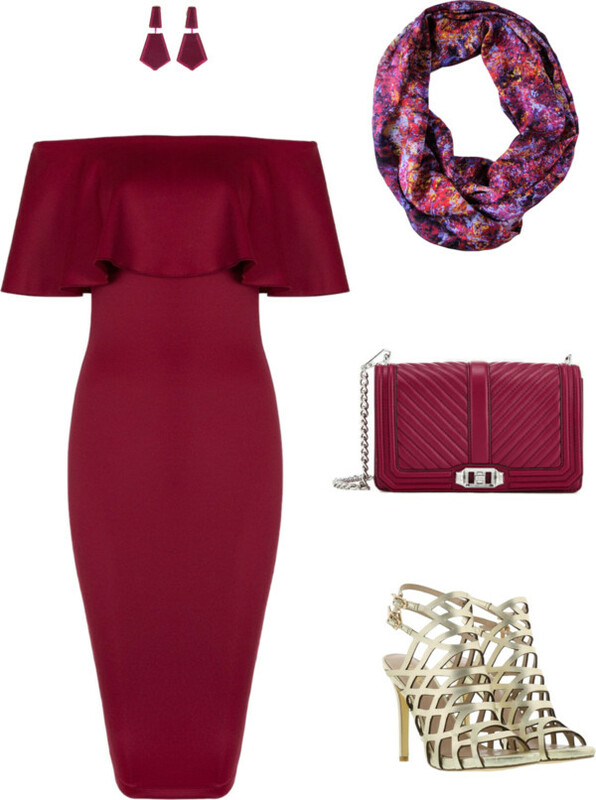 I have had this burgundy dress on my wishlist for a while now. It has that classy elegant but at the same time cosy feel in it, that makes me go crazy. It is kind of a dress that would be great for a party in the office, at home, at a chic restaurant. 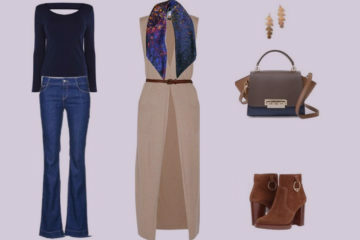 I’ve styled it with Tory Burch accessories and Aithne Temptation scarf. The booties deserve a special mention. They are just gorgeous, aren’t they? This is probably my favourite outfit out of all 5, pure beauty. Click on the little items below for the details. 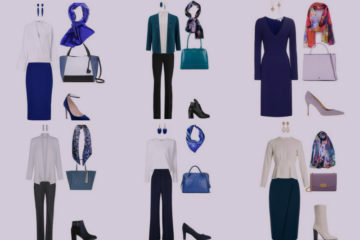 Hope you enjoyed these outfits and have got some ideas of what would you like to wear. What have you got planned for Christmas and New Year and which outfit is your favourite?